Private detective John Blacksad is hired by a record-producer to track down legendary pianist Sebastian “Little Hand” Fletcher, who is missing. Together with his pal Weekly, Blacksad uncovers a dark and twisted piece of local history. 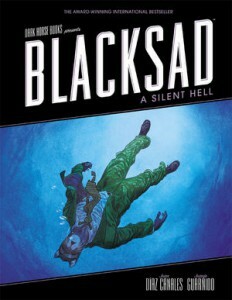 A Silent Hell is the fourth instalment of the Blacksad series created by writer Juan Díaz Canales and artist Juanjo Guarnido, originally published in France. 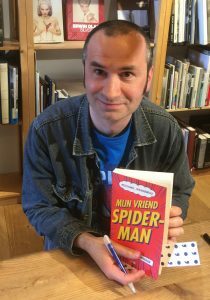 In addition to winning prestigious comic book awards like the Eisner and Harvey awards, the albums have been translated into over twenty different languages. And rightly so, because this series is what we consider to be quality comic book storytelling. Being a detective story that’s staged in 1950s New Orleans, A Silent Hell contains all the trappings one may expect: a detective with snappy comebacks, unexpected plot twists, New Orleans’s legendary music scene, Mardi Gras and voodoo. Still, Canales and Guarnido present the reader with a captivating story, beautifully drawn and water-coloured by Guarnido. And yes, it helps that all the characters in this series are animals to give the detective genre a new look and feel. 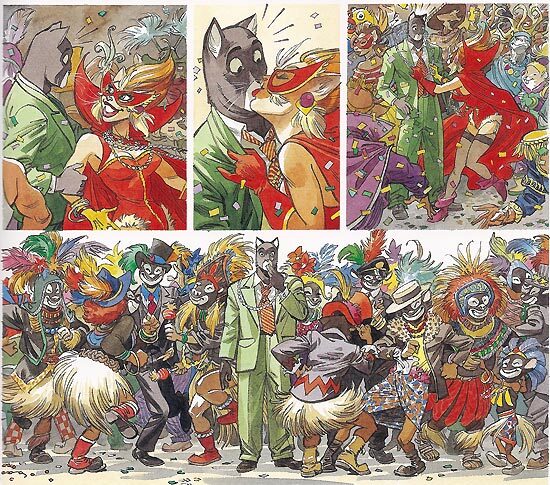 Blacksad is a smart cat, while his sidekick Weekly is a foxy journalist. But appearances aside, this animal kingdom is much like our own world, where beauty and pain walk hand in hand, and people in power have dark secrets they do not want uncovered. The story is carefully constructed: although the plot unfolds in one single night and the nightly events are mixed with flashbacks and flash forwards, the reader never loses track of the order of events. A romantic encounter during a chase. Both Spanish artists have earned their stripes as animators, which is very visible in Guarnido’s lively facial expressions reminiscent of his work for the Disney studios, although his drawing style has a unique quality of its own. Guarnido renders his drawings in water colours, adding mood and texture. Guarnido meticulously explains his use of colour in The Watercolour Story, a bonus section added in this edition of A Silent Hell. The book also includes two short stories that supply some background information about the Blacksad characters. 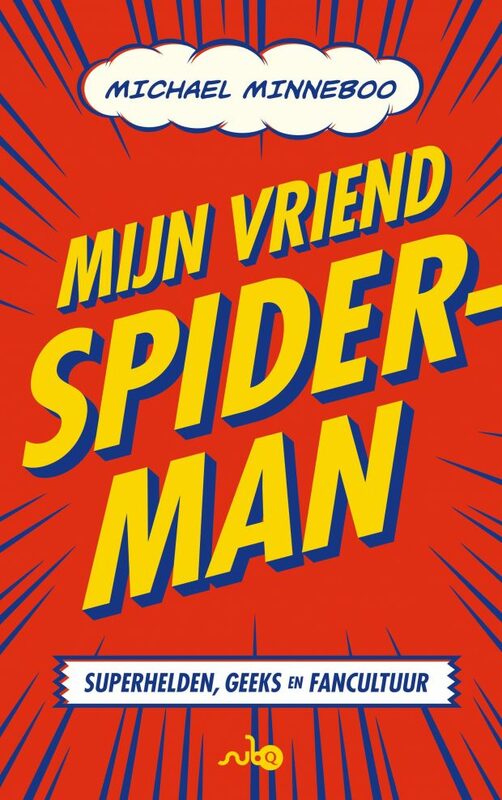 Waarom een recensie in het Engels vraag je je wellicht af. Ik schreef deze voor het blog van The American Book Center, waar ik sinds kort maandelijks een striprecensie voor schrijf.